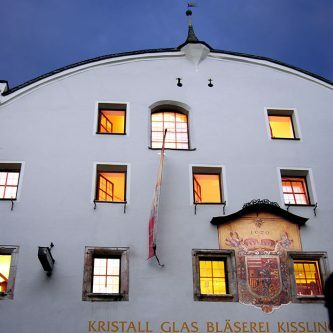 The name Kisslinger goes back to the years before 1640: this was the year when a son, Matthias, was born to Paul Kißling, who worked in the Hirschenwies glassworks near the Lower Austrian castle town of Weitra. 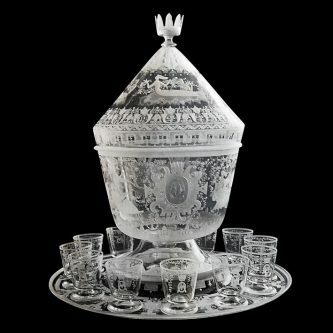 Mathias Kißling became Master Glassmaker at Heilbrunn – nowadays known as Styria – and founded a family dynasty, which has been devoted to the production and fashioning of glass throughout the generations, right up to the present day. In 1903, Ferdinand Kißling was born as part of the ninth generation. During the years of the worldwide economic crisis, he made his way to Norway, where his great skill as a craftsman brought him commissions, for example a punch set commissioned by Prince Olaf – an extraordinary masterpiece. 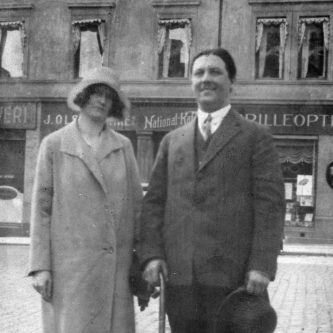 Ferdinand Kißling, founder of the company, with his wife Maria in Oslo in 1929. The punch set made for Prince Olaf of Norway in 1930. 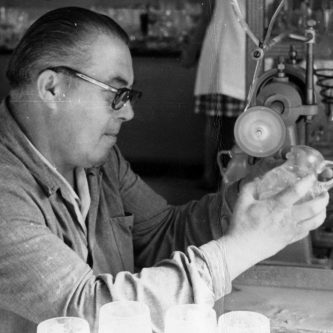 Ferdinand Kißling working in his company, founded in 1946. In Rattenberg in 1946, he finally established the company we know today, which was then just a small decorating workshop with only one apprentice. And then in 1998, the management of the company passed to the 11th generation – Hannes Kisslinger and his wife Silvia. He successfully led the company into the new millennium, exporting to the whole of Europe, as well as overseas and many other places. 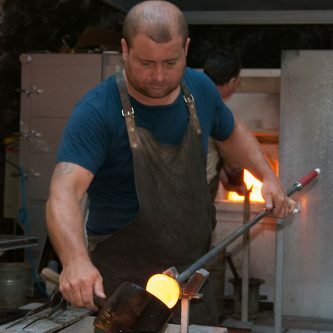 Today, the name “Kisslinger” represents the know-how handed down by 11 generations, whose craftsmanship in the production and fashioning of glass has matured to perfection. Each year, many thousands of visitors come to find that ideal gift for friends and family among our exclusive glassware. Our main company, situated in the centre of the historical town of Rattenberg, is spread over 4 floors and has been preserved as a historical monument. 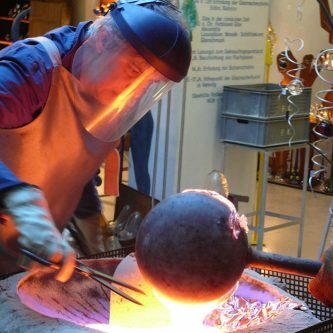 Amazingly, our glassblowers still use the old glass making techniques practiced centuries ago. 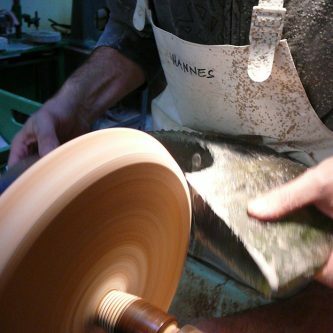 Numerous visitors come each year to see our demonstrations of traditional craftsmanship in glassmaking. With over 1,000 m2, spread over 4 floors of the main building, glass lovers have the largest selection and variety in the area. In our company, we actually use all possible methods of working with glass and as an example further innovative developments are pursued in our international workshops. One of many steps to a masterpiece. From sand-blasting techniques and screen printing, to special cutting, special drilling and the latest adhesive technologies, we use all these techniques in a professional manner and with state-of-the-art know-how. 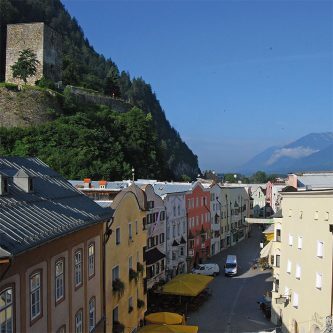 Rattenberg, the smallest town in Austria, is one of the few towns in Europe whose townscape has remained almost completely the same as it was in the Middle Ages. 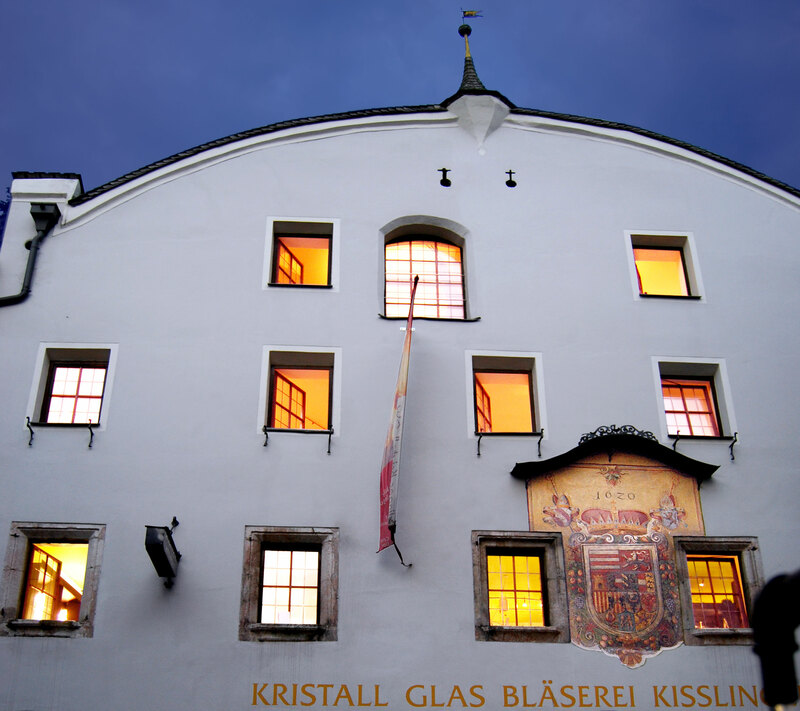 Visit us in medieval Rattenberg with the centuries-old tradition of Tyrolean glassmaking. 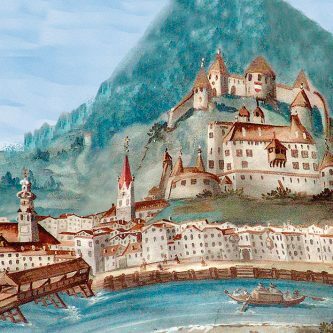 The medieval town Rattenberg invites you to stroll through the town. 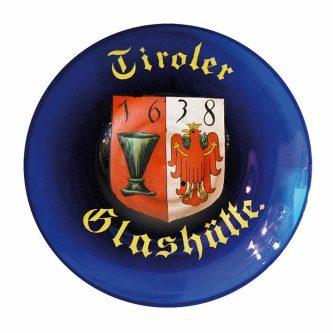 In 1626, Bohemian immigrants founded the Tyrolean glassworks at Kramsach, barely a stone’s throw from Rattenberg. 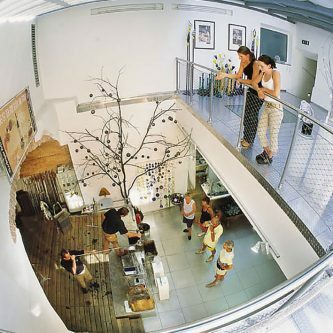 With its flourishing trade in handmade glass, the region’s centuries-old tradition of making and fashioning fascinating glass continues within its walls, rich with history, and today the town is known as “The glass town Rattenberg”.